1. It was made by the same people that made The Bible mini-series. 2. They removed Satan from the movie because the Obamas complained. 3. Because a half-crazy, chain-smoking, recovering alcoholic can make a better movie about Jesus Christ than a cadre of New-Age, Deepok-Oprah occultists and shiny, happy evangellyfish. I wonder how many of you know that this Jesus movie that your church is pushing and that you plan on taking your unsaved uncle to is put out by a bunch of new age, occult dipthongs. Roma Downey, who plays Mary, not only went to school for spiritism but she loves her some Eckhart Tolle, has co-written a book with the necromancer John Edward and even went on his show so that she could talk to her dead mother. “I get my own selections [on the radio in the car] — books on tape by Eckhart Tolle, Tony Robbins,” said Downey. “My husband says I’m so self-realized I’m practically levitating.” I know, sounds just like your pastor’s wife, right? When she’s not channeling Oprah’s New-Age guru in her car, Downey is going to psychics to summon the dead – a levitating, self-realized disciple of . . . Christ? The great offense of Son of God is that there is no offense. In fact, it’s so sterile that you end up wondering just why they bothered to crucify this Jesus at all; he was about as threatening as a window-shopping Ashton Kutcher in his capris and flip-flops. This Jesus is no longer the “man of sorrows,” so comely that the world wouldn’t recognize him, so non-descript that he had to be betrayed by a kiss; he’s the shiny-happy, smiling and waving Messiah, like Russell Brand walking the red carpet at Cannes! There is no emotional attachment in this portrayal at all. You don’t even feel it when Mary holds her son in the compulsory “La Pieta” pose at the foot of the cross. It feels contrived, in an after school special type of a way. A flat, sanitized Christ, a disjointed narrative with a fuzzy gospel will hardly summon the demons in protest, and Son of God was so palatable that even the most ardent critic of the New Testament account loved it. Abraham Foxman said that Son of God will be, “the antidote to the poison that Passion of the Christ became.” Foxman, the National Director of the Anti-Defamation League went on to say, “It’s almost a disservice to Son of God to compare the two.” And on that we completely agree. Foxman went on to predict that Son of God could replace Passion of the Christ as the go-to movie for films about the life and death of Christ. Yeah, and Miley Cyrus will go on to replace Celine Dion as the epitome of class and talent in the music world. That Abe Foxman loved it is both rich in irony and kind of foolish because in this whitewashed, no sharp corners story of the Christ it was the “bitter Jews” alone that manipulated the death of Christ and not the perceived checkmate of the epic battle between Diablo and Christ, between “thy seed and her seed.” Satan never enters Judas because Satan never enters at all; he was removed on order of the Roman Prefect, Pontius Obama. Deleting the “Prince of the Power of the Air” is not only an outrageous metaphor in regard to spiritual veracity; it is akin to casting Othello without Iago, or Faust without Mephistopheles. Imagine sitting through Star Wars with no Darth Vader; only Luke for two hours. And that may be why it was such a snoozer. How do you make the war between God and Satan a yawner? Take the deeper conflict out; as if Jesus was only battling the Harper Valley PTA. 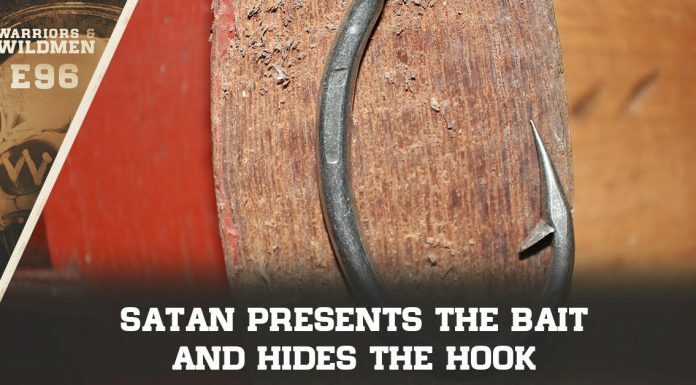 Can you truly tell the story of the Son of God and leave the Devil on the cutting room floor? Sin actually barely makes its presence known. Other than the sins forgiven the crippled man that incites the ire of the Pharisees, “sin” exits stage left. The problem of evil is also absent. Although some are cruel and most are stupid in Son of God, no one is really evil. People, including Judas, are merely misguided. Judas comes off as almost noble. With no Satan, no sin and you guessed it, no Hell – not much need for a savior. Were the makers of this film embarrassed about the exclusivity of Jesus Christ and his divine claim? Yet, that claim is the exclusive nature of the gospel – that there is no other name under Heaven that can bring salvation. The expansive offer of salvation from Jesus Christ to the lost has an exclusionary clause – “No one comes to the Father but by me.” All other gods and all other paths will lead to destruction! Is it too much to ask of a movie supposedly about the life and death of Jesus Christ that we actually give the reason and the claim that the man made himself, or did the Obamas ban that too? Maybe Oprah or Eckhart Tolle asked for that to be removed. The old Nintendo “Quit Screen” read, “Everything Not Saved Will Be Lost,” and this, my friend, is twice the witness that you’ll find in Son of God. An archaic children’s video game console is more doctrinally sound and spiritually courageous than the gospel according to Mark and Roma. A Jewish sage? – Sure. A martyr? – Most assuredly. A great moral teacher? – But of course. Though, the man who speaks more of sin, spiritual death and Hell than any other figure in the gospels is remarkably silent about those things in the movie based on his life and work. As for staying power, Son of God is a one-fer. No one will stop back for day-old cotton candy. While I saw The Passion of the Christ three times at the theater and own it both in Blu-Ray and digital, I will never drop another dime on Son of God. The Gospel according to Burnett & Downey has all the sweep and majesty of a stick of Juicy Fruit gum – forty seconds in. But if you prefer Lite-Brite to the Aurora Borealis or Spaghettios to Del Posto’s Veal Agnolotti with Sugo Finto, then Son of God is just for you. You’ll be totally self-realized!